Music is art. I think that’s a sentiment everyone can agree on. I would even argue that music is by far the most accessible form of art. And while a lot of lovely people pursue this form of art, only few manage to make art as double edged as Mire. 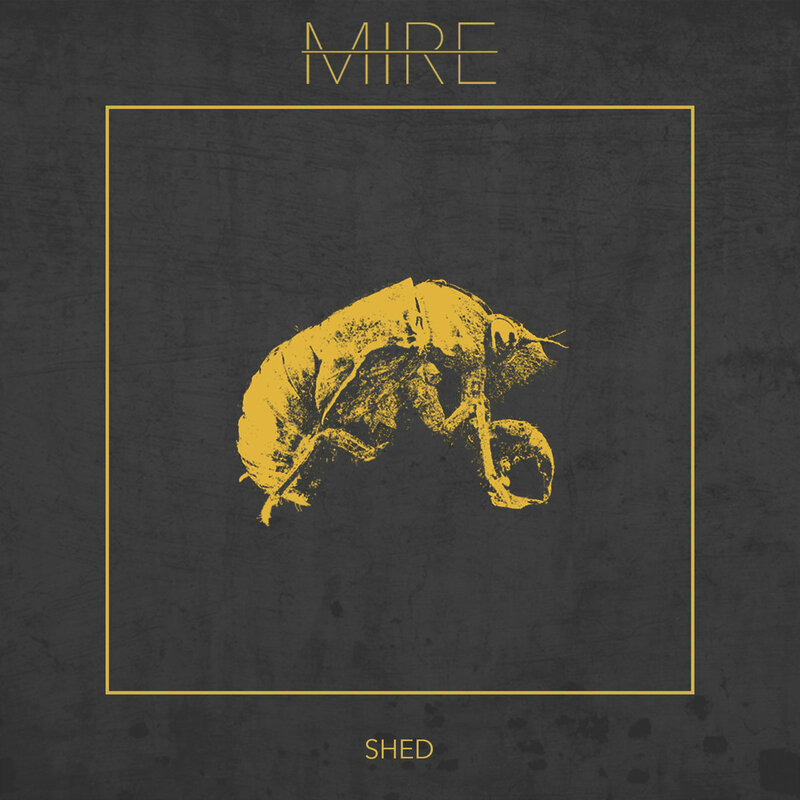 Mire, today’s featured artist, makes metal that’s groovy and thrashing, smart and focused, fragile and mighty. Without beating the old advertisement drum and quietly sending their record, Shed, out to magazines, these guys flew under the radar of a lot of people but are gaining popularity quickly. But where did they come from? Well Mire started with guitarist Ryan Glisan. He attended a high school in Texas where it was rather mainstream to listen to metal. So with his social environment following Pantera, Metallica and others, Glisan dived into the flourishing metal scene. Sure enough he picked up an instrument and a passion. Glisan wanted to be a musician from that point on, when he realized that, with some hard work, he actually could be. After years of playing in various projects that didn’t go where he had hoped, Glisan found himself writing a record and on the lookout for possible contributors. On this journey, he found Eric W. Brown who went on to play drums for Mire. As the instrumental positions were all filled, the project was just lacking a voice, quite literally. Glisan finally found Benton McKibben through a mutual friend, and he topped every expectation with his powerful vocals. So what does Mire actually sound like? Between blast beats, ferocious sounding guitars and guttural vocals, there’s always thought behind these compositions. The overall style is mid-paced and places an emphasis on octaves, minor melodies and a groove that’s accessible and easy to vibe with. This combination understandably reminded some of our writers of French metal legends Gojira. With a steady backbeat, the drums deliver a catchy, almost hard rock feel. Blast beats shouldn’t be missing from death metal and are delivered in moments where the drums are able to shine the most. Mire finds an effective balance between all the instruments, allowing each to have their share of the spotlight. Lastly, the vocals are some of the best I’ve heard in a long time. Between half cleans and full on guttural bellows, McKibben has a unique approach to his screams, making them sound meaty and distinct, while retaining a sophisticated range. This is a carnival of old and new, but never overindulging nostalgia. You can follow Mire on Facebook and Bandcamp. Previous PostMom Jeans. - "Puppy Love"
Next PostJedi Mind Tricks - "The Bridge And The Abyss"